325b. Bombarely, Moser M, Amrad A, Bao M, Bapaume L, Barry CS, Bliek M, Boersma MR, Borghi L, Bruggmann R, Bucher M, D’Agostino N, Davies K, Druege U, Dudareva N, Egea-Cortines M, Delledonne M, Fernandez-Pozo N, Franken P, Grandont L, Heslop-Harrison JS, Hintzsche J, Johns M, Koes R, Lv X, Lyons E, Malla D, Martinoia E, Mattson NS, Morel P, Mueller LA, Muhlemann J, Nouri E, Passeri V, Pezzotti M, Qi Q, Reinhardt D, Rich M, Richert-Pöggeler KR, Robbins TP, Schatz MC, Schranz ME, Schuurink RC, Schwarzacher T, Spelt K, Tang H, Urbanus S, Vandenbussche M, Vijverberg K, Villarino GH, Warner RM, Weiss J, Yue Z, Zethof J, Quattrocchio F, Sims TL, Kuhlemeier C. 2016. Insight into the evolution of the Solanaceae from the parental genomes of Petunia hybrida. Nature Plants 2: article number 16074. Petunia hybrida is a popular bedding plant that has a long history as a genetic model system. We report the whole-genome sequencing and assembly of inbred derivatives of its two wild parents, P. axillaris N and P. inflata S6. The assemblies include 91.3% and 90.2% coverage of their diploid genomes (1.4 Gb; 2n=14) containing 32,928 and 36,697 protein-coding genes, respectively. The genomes reveal that the Petunia lineage has experienced at least two rounds of hexaploidization, the older gamma event, which is shared with most Eudicots, and a more recent Solanaceae event that is shared with tomato and other solanaceous species. Transcription factors involved in the shift from bee- to moth pollination reside in particularly dynamic regions of the genome, which may have been key to the remarkable diversity of floral color patterns and pollination systems. 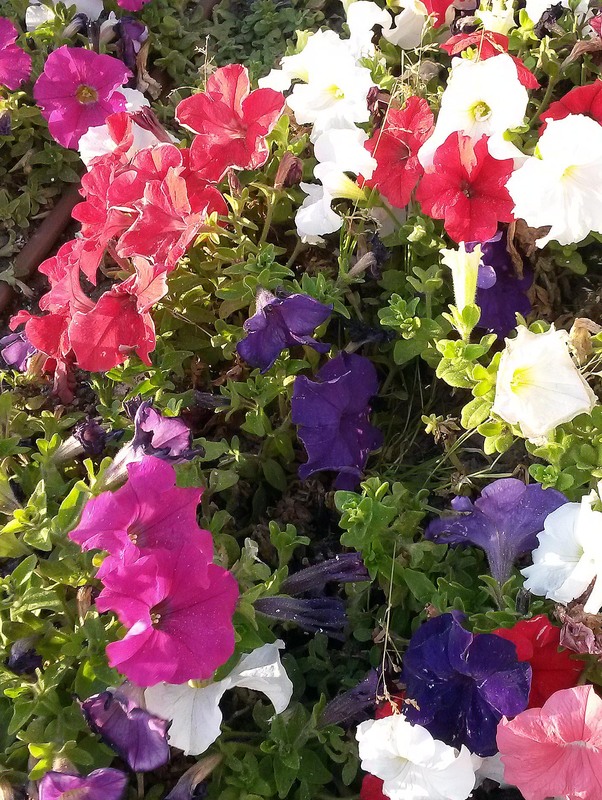 The high quality genome sequences will enhance the value of Petunia as a model system for research on unique biological phenomena such as small RNAs, symbiosis, self-incompatibility and circadian rhythms. See also related / supplementary manuscript from Molecular Cytogenetics lab. This entry was posted in Publications and tagged cytogenetics, DNA, genes, genome sequence, genomics, petunia, plants, sequencing. Bookmark the permalink.